Built in 1912, Fairmont Ch au Laurier is a magnificent limestone edifice with turrets and masonry reminiscent of a French chateau. The hotel features luxurious accommodation from cozy single rooms to the most opulent suites. Enjoy the wonderful table d'hote menu at Wilfrid's restaurant, or escape to the health club which includes an indoor art-deco swimming pool, dry sauna, fitness room and lounge area with viewing gallery. 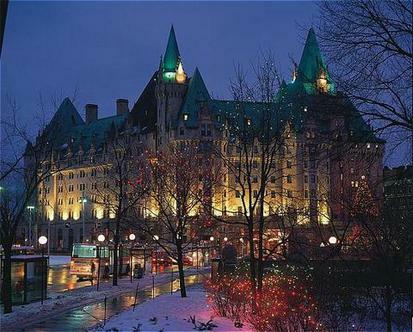 Fairmont Chateau Laurier - your stay is guaranteed to be a memorable one.